Hey, I’m James and I’m excited to continue working with Tom’s Tutoring in 2019. 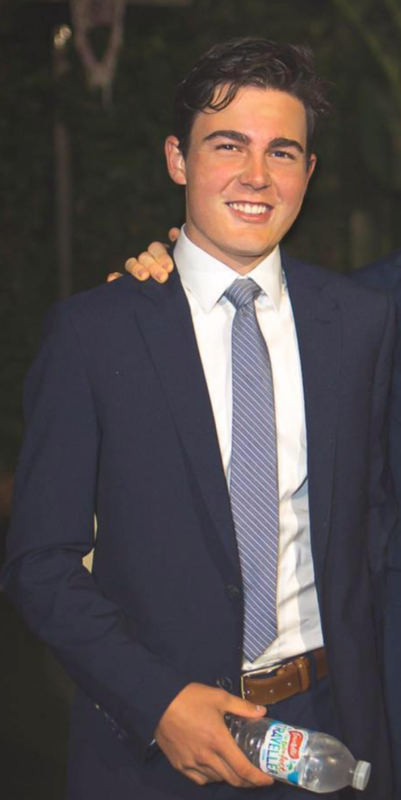 I graduated from Caulfield Grammar School in 2017 and I am now studying a Bachelor of Aviation and Graduate Certificate of Aviation (Piloting) at Swinburne University and Oxford Aviation Academy. I love doing things with mates and staying active. My advice to VCE students would be to always maintain a level head. Always continue to do things you enjoy and do not become inundated with the work. The only way this can be done is through smart study. In my Further Math sessions, I try to hone in on the things that require extra work to ensure all bases are covered. I found through my experiences with tutors that the subjects seemed much easier when I was with them, and then suddenly become impossible one I was alone. As I am aware of how easy it is to become complacent during a lesson, I encourage my students demonstrate they can confidently complete the tasks without my intervention before the conclusion of each lesson, therefore building a foundation for strong scores in assessments later on.